This Veterans Day marked 100 years since the end of World War I. 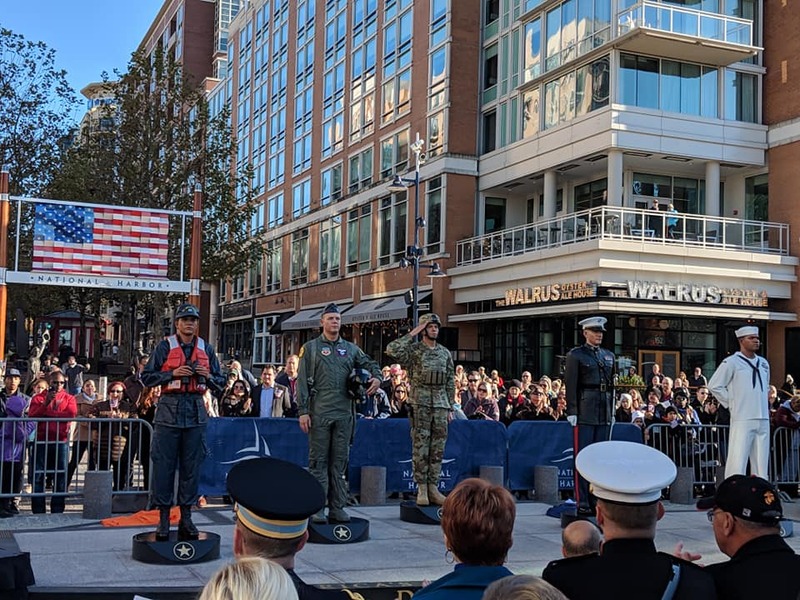 There was a big reveal Sunday at National Harbor in honor of those, past and present, who have served in the U.S. armed forces: statues representing the five branches of the U.S. military— the Army, Marine Corps, Navy, Air Force, and Coast Guard. Milt Peterson, principal and chairman of the Peterson Companies and National Harbor developer, said Warner was the driving force behind getting the statues created. The lifelike pieces are now part of a collection of statues representing historic figures that line a stretch of road called American Way. Other figures include George Washington, Abraham Lincoln, Frederick Douglass, Franklin D. Roosevelt and Rosie the Riveter. All five of the new military statues face the Potomac River and are positioned so that a National Harbor sign topped with an American flag serves as a photo backdrop.